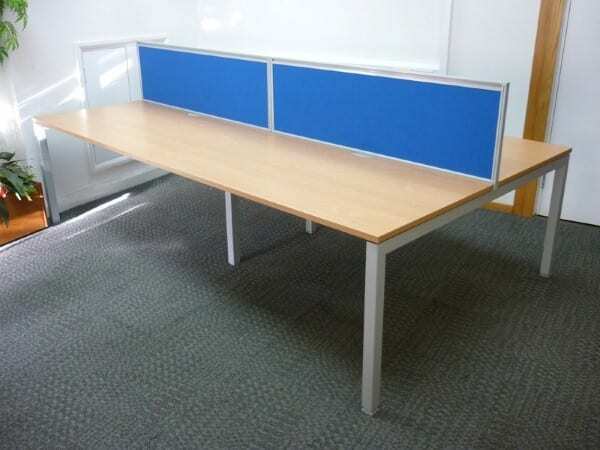 These Senator bench desks in beech are an adaptable bench desk system that maximizes available space, whilst encouraging open office space and shared work. Otherwise, if these desks are not exactly what you are looking for, we have other second hand desks in stock. Please click on the link provided, or simply enter your details into our ‘Request a Quote Online’ form below and one of our sales team will be in touch very soon.